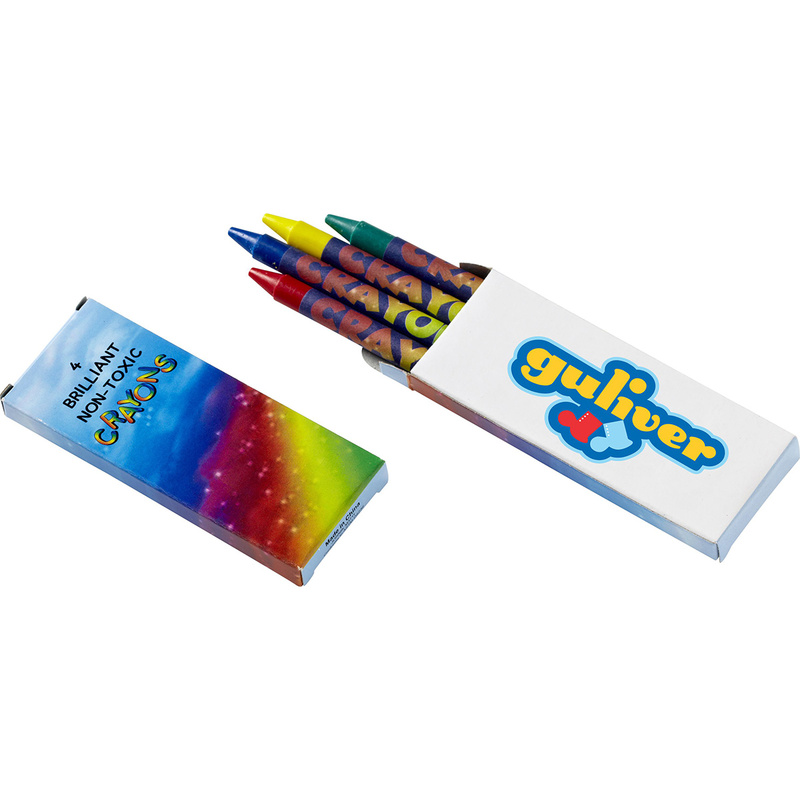 Offer an amazing gift like this 4 count crayon pack and get people to spread the word about your brand! Inside of a box measuring 1 1/4" x 3 1/2" comes four crayons which are full of color and perfect for kids. You can give these out at fairs, festivals, or even at restaurants to focus kids' attention while waiting for food. Their parents will thank you for it! Add your company name or logo with one of our imprint methods and make a big splash in your industry! Crayon colors include red, blue, green and yellow. Note: Stock package designs for crayons might change at any time. If the exact design is important, please notify factory in advance and mark order so current sample can be furnished. 31 lbs. / 500 pcs.